Winnie & Walter October Rerun! Welcome to Winnie & Walter’s October rerun feature. 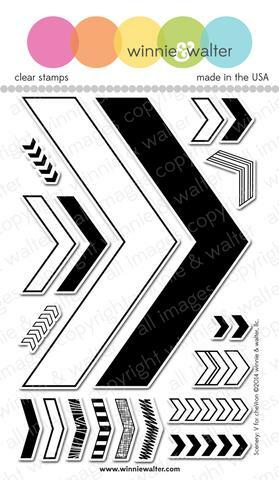 This month’s Rerun feature Scenery: V for Chevron stamp set. This set will be on sale this month at Winnie & Walter store. There is plenty of inspirations by designers on Winnie & Walter Blog and there is also a challenge that runs for this month. Of course with the challenge there are prizes as well. Check out Winnie & Walter Blog for more details. Here is my project using this stamp set. I used the solid Chevron stamp from the stamp set to stamp the background using Altenew inks. The colours I used are Pink Diamond, Pink Pearl, Sunkissed, Minty Mist, Lilac, Sea Glass and Citrus Burst. I certainly used MISTI to double stamp and get even coverage. I trimmed this panel to 4″ x 5.25″ in size and adhered on white card base using foam adhesives. For the sentiment, I die cut the speech bubbles using Sketchy Thoughts Cutaway using black cardstock and white heat embossed the sentiment from Sketchy Thoughts stamp set. I adhered them as shown using foam adhesive. Finally embellished with white Nuvo crystal drops. I wanted the colourful Chevron on the background to be the highlight of the card. Hence used white on black sentiment which also pops out of the colourful background. Check out Winnie & Walter Blog for more design team inspirations and details of the challenge.All supplies used to make this card are listed below. 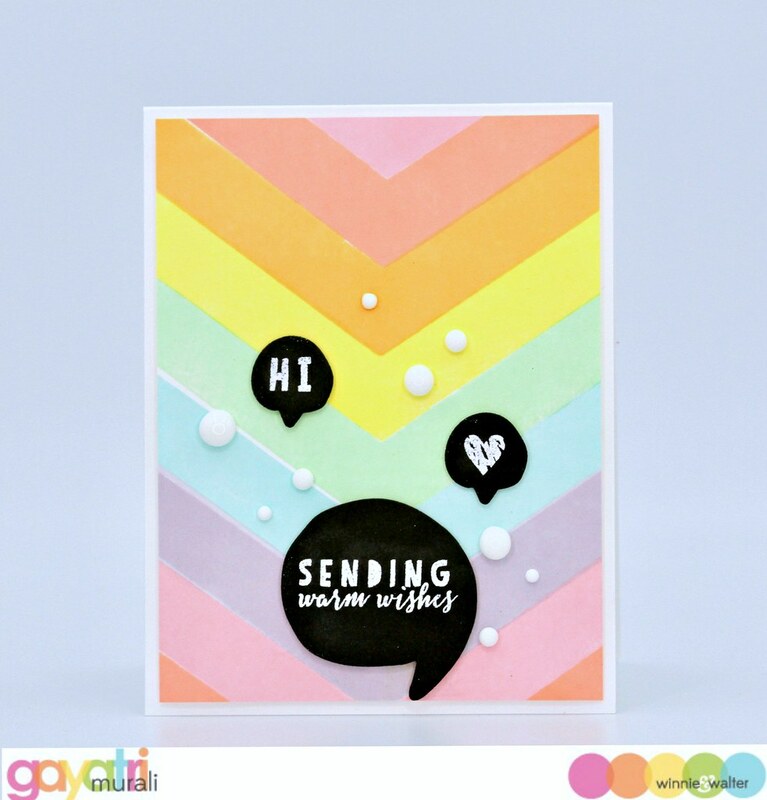 I love the colours you’ve used for this – pastely and rainbowy!